For more than two decades, we have perfected the art of producing New Zealand Manuka honey to bring you our very special, quality product, made with passion. Bella New Zealand Honey is gathered by honey bees directly from the rugged wilds of New Zealand’s bush-clad mountains and the ancient forests. Honey bees obtain their nutrients and food naturally when they are in the best natural environments. Preserving the natural environment is critical to the natural processes that underpin our business. Bella honey is sustainably produced. We need functioning ecosystems and biodiversity for plants to flourish and make the nectar and pollen that our bees gather. Bees are at the heart of the natural environment. That is why Bella New Zealand Honey is committed to a sustainable future. All of our products are registered with the New Zealand FernMark Licence Programme. Our raw Manuka honey goes through as little processing as possible to retain all of its beneficial enzymes and goodness. We believe our consumers should know the origins of our product, which is why you can trace your jar back to where it came from. 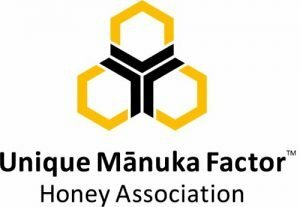 We are also proud to carry the UMF Honey Association of New Zealand’s independent quality mark. To be able to produce the best Manuka honey, it is paramount that we look after and take care of nature. Respecting and working with the earth’s elements rhythms and cherishing its fragile ecosystems and habitats are practices critically interwoven into our business. We believe that conservation, communities and commerce should work in harmony to create a sustainable, healthier world. Bella New Zealand Honey is a member of New Zealand’s Sustainable Business Network and is dedicated to doing business in a way that honours our air, land, water, environment and, most importantly, our bees.